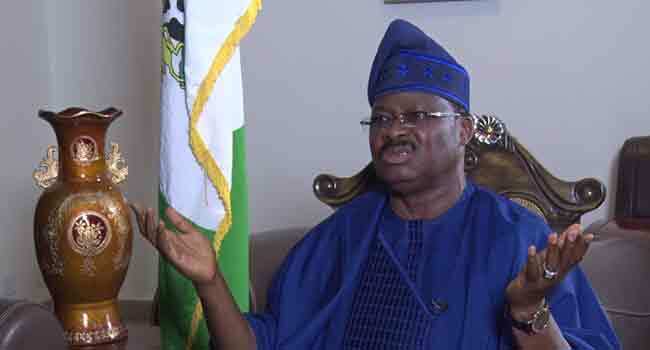 The Oyo State Governor, Mr. Abiola Ajimobi, says the All Progressives Congress (APC) has done more than enough within the last three years to deserve re-election. Ajimobi stated this during his appearance on Roadmap 2019, a Channels Television Programme, which aired on Monday. “Definitely, it (APC) has done more than enough (to deserve a second term),” he said. Since the APC and President Muhammadu Buhari swept to power in 2015, promising to tackle insecurity, fight corruption and boost the economy, the government’s performance has split opinion receiving praise and criticism. Critics have faulted its failure to end killings, especially by suspected herdsmen, across the country and some of its economic policies. But Governor Ajimobi believes the critics have forgotten how things were before the current administration was inaugurated. As far as the governor is concerned, the Buhari administration has done well in fixing the nation’s economy and addressing the security challenges. He, however, explained that the process of making Nigeria a prosperous nation cannot be done in one day, considering the rot created by previous governments. “What was the situation when President Muhammadu Buhari came in? Look at our economy, the revenue accruable to the government, corruption, security situation. The governor recalled that Nigerians voted his party in 2015 because of the yearning for a change of leadership. Three years in government, Ajimobi is confident that President Muhammadu Buhari has done incredibly well in fighting corruption. “Everybody wanted a change. In the words of Winston Churchill, ‘we do not know whether if we change things will improve’,” he said. Asked if he would support the Minister of Communications Mr Adebayo Shittu, to succeed him as governor, Ajimobi replied in the negative.